In this mission you must get rid of the Air Defenses to deploy your balloons. Destroy the Mortar at the bottom with Archers. Place them close to the Mortar so they will fall in the blind spot. Take out the Archer Tower with 10 to 12 Archers for each tower. 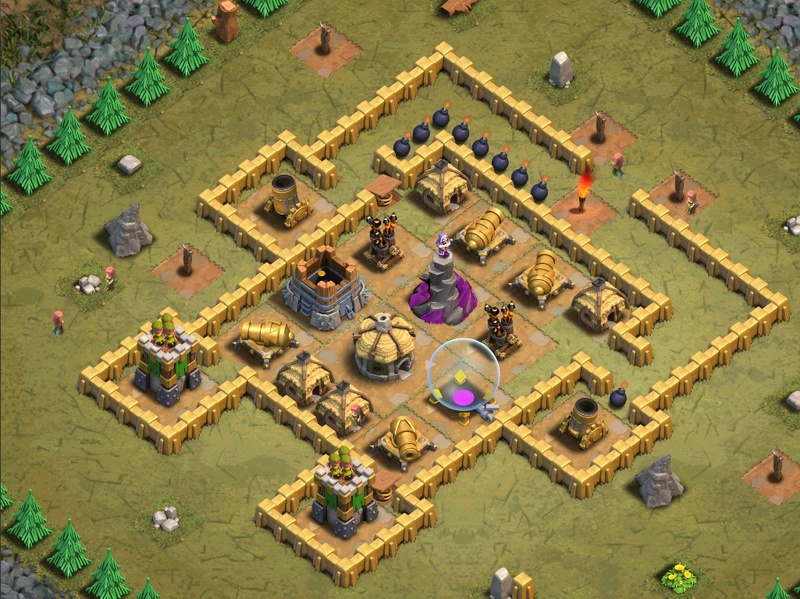 Take out the Mortar at the top, be sure to spread your troops otherwise the mortar will kill all your troops. Use 2+2 Wall Breakers at the bottom and the top to destroy the Walls. Deploy 4 Goblins at the top to set the Spring Traps. Deploy one Giant at each side and after that deploy the rest of the Giants. Also deploy all your Archers at both sides. Deploy the Balloons and let them destroy the map. Swarm Barbarians with some WBs at both Mortars, then use Barbarians and Archers at the lone Archer Towers on the outskirts. Deploy all (most) of your rest barbs at the Wizard Tower with a Healing Spell (alternatively you can use Giants at the WT). Or deploy 2 Giants followed by 1 Wizard at each corner defense. Then send Hog Riders with Healing Spells. Never give out your Game Center password to anyone.